The Swiss prosecutor’s office confirmed that Artyom Chaika had received Swiss citizenship in line with the law, adding that he indeed had real estate and a business in the country, though his legal firm is not operating and his house has not been completed. Swiss prosecutors have refused to launch a criminal investigation against Artyom Chaika, the son of the Russian prosecutor-general. The motion to launch a probe into Chaika Jr. was filed in December last year by Russian opposition activist Alexei Navalny and his Foundation for Fighting Corruption. Russian media have learned that Swiss prosecutors have concluded their probe into Russian Prosecutor-General Yury Chaika’s son Artyom – conducted on a motion from opposition figurehead Alexei Navalny’s Foundation for Fighting Corruption (FBK) – and have found no incriminatory evidence. On Dec. 1, 2015, the foundation published its own investigation, accusing the prosecutor-general’s sons of creating a business empire, unlawfully taking over state enterprises, close links to the criminal world and even murders. In particular, the FBK alleged that Artyom Chaika was involved in money-laundering operations in Switzerland, and that he had an unlawfully obtained residence permit in that country as well as a company and premium real estate. On Dec 8, 2015, Navalny’s foundation sent a motion to the prosecutor’s office to have these claims checked. In the end, the Swiss prosecutor’s office only confirmed that Artyom Chaika had received Swiss citizenship in line with the law, adding that he indeed had real estate and a business in the country, though his legal firm is not operating and his house has not been completed. 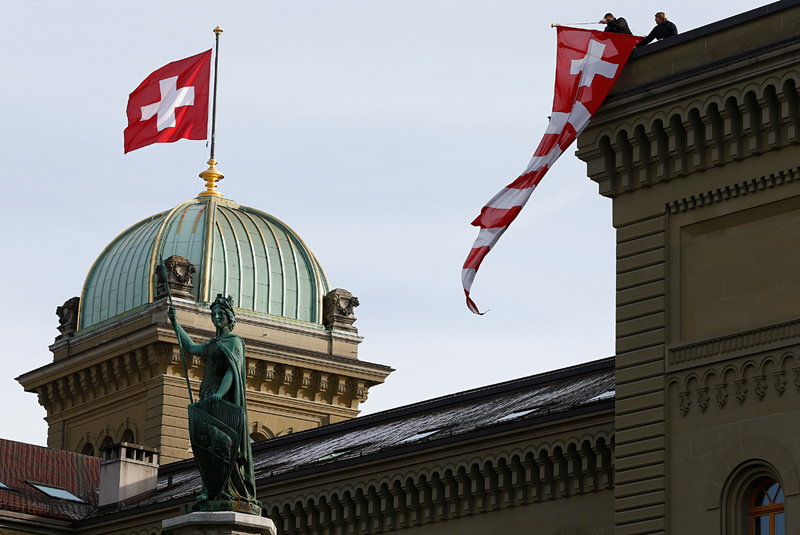 “However, no specific facts confirming any involvement with money-laundering have been uncovered,” Swiss prosecutors said in a statement. “That is why we are pinning our hopes on local prosecutors, who should expose their Russian colleague,” he added. In Russia, FBK filed six lawsuits against the prosecutor-general, none of which were accepted by courts because of the top prosecutor’s immunity. For his part, Yury Chaika has dismissed Navalny’s investigation as “deliberately false” and made to order.